Detailed analysis on customer relationship management (CRM) sales data. Understand where your sales have derived from, where the next opportunities are and be on top of the probabilities and financial implications of successful future sales pursuits. Keep track of all revenue generating opportunities and have greater insight in which client sales and internal partners will drive strong bottom line results. Be planed and prepared for future deal execution once sales are made. 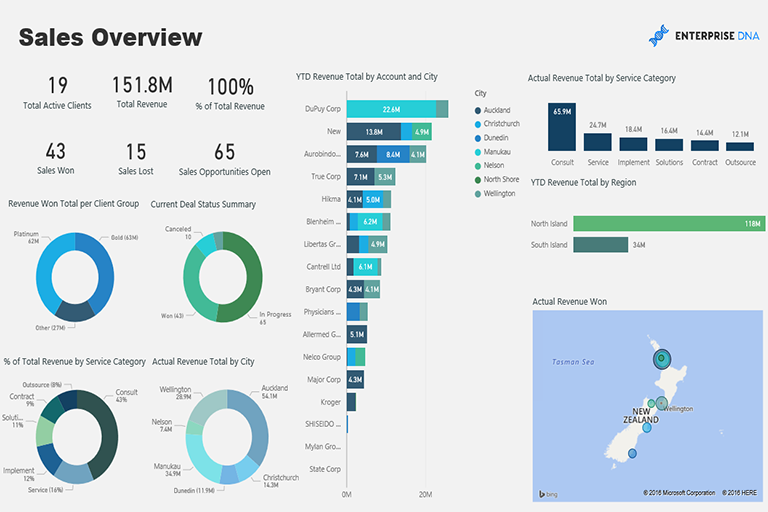 This customisable analysis could sit on top of a current CRM platform or connect to an existing excel or access model collecting similar information. There is a wide variety of ways in which this model could be extended, but the core solution provides any organisation an opportunity to gain greater insight in their sales opportunities now and into the future. 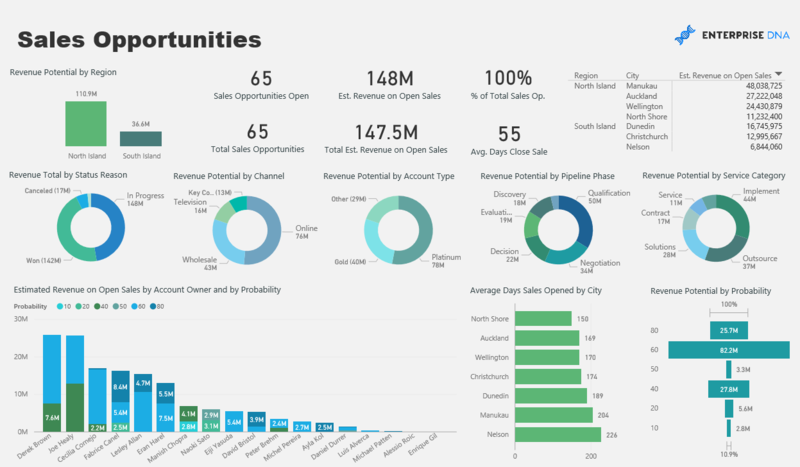 Sales Overview - Highlighting key data points and client metrics on achieved and potential sales. Sales Opportunities - Be across all potential new business or new sales leads. Quantify the total revenue opportunity. What products and services are being sold by which representatives in which locations? 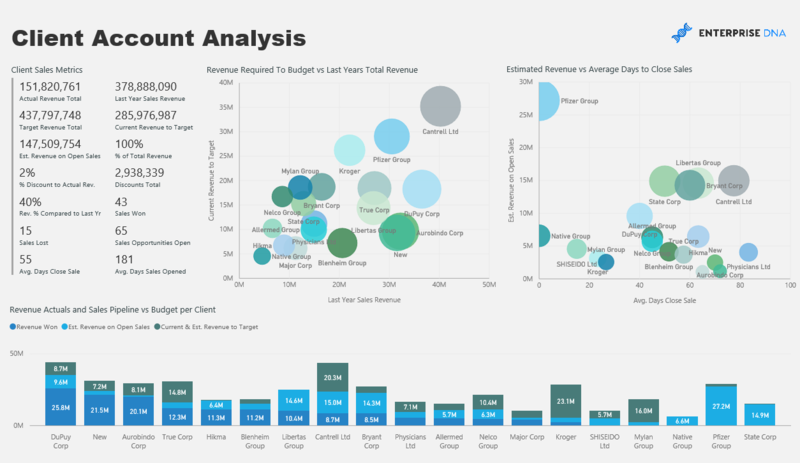 Client Analysis - Analyse your client in depth. Are you generating the right amount of sell through and are you delivering on your product or service. Where should time and resource be spent to optimise future sales revenue? Key Sales - What are your absolute key sales? Which potential sales will generate the greatest return from time and effort? What are the effective revenue expectations for upcoming deals/sales over the next period?